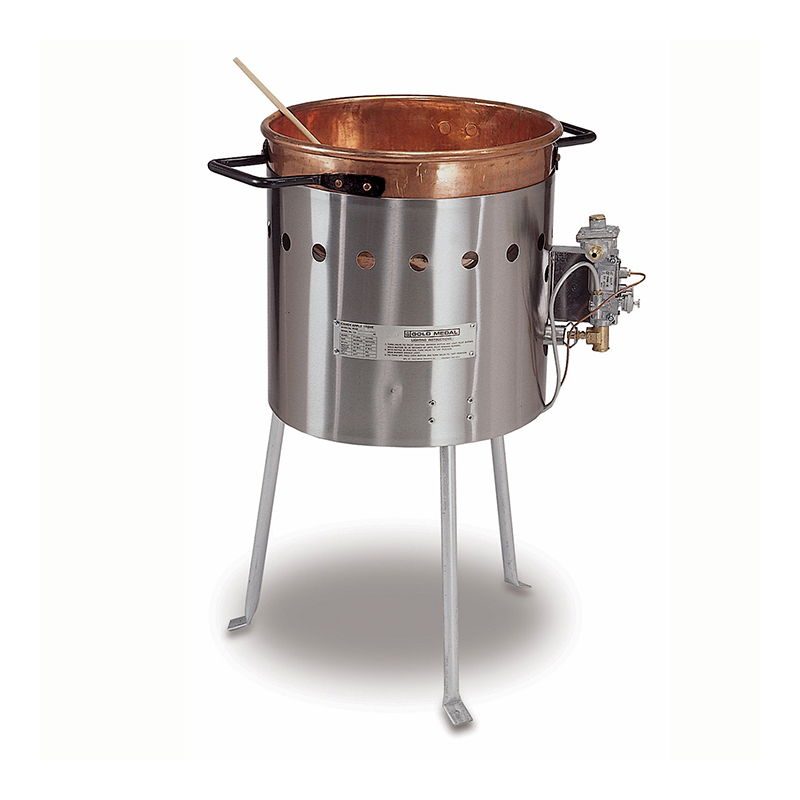 This "awesome" Gas Candy Apple Stove with 16" diameter x 9 1/2" D hand-crafted copper kettle. 35,000 BTU/HR burner. The gas stove pairs with the hand-crafted copper kettle.